On the afternoon of 2 May 1868, the clipper Celestial Queen arrived at Port Chalmers. On board was the first shipment of live fish ova from England. These fish were intended to provide sport for the settlers, but none survived. The first attempts to import Atlantic salmon (Salmosalar) ova from Great Britain into Australia in the early 1860s were unsuccessful, with the ova being either damaged by the movement of the ship or hatching prematurely in the tropical heat. This disappointing news was widely reported in New Zealand. The first successful shipment to Hobart, Tasmania in 1864 was achieved by packing the ova in soft, clean moss and embedding them deeply in natural ice (shipboard refrigeration machines were not used successfully until 1877). On 20 January 1868 the Celestial Queen was loaded in London with 834 boxes containing 220,000 salmon ova and 14,500 trout ova. They were stored in a 16 ft by 12 ft ice house that was 11 ft high (4.9 m x 3.7 m x 3.4 m). Lined with sheet lead, it was insulated by 9 inches (225 mm) of charcoal and packed with blocks of ice from Wenham Lake, Massachusetts. Live gudgeon, tench, carp and oysters, a dozen Dorking fowl eggs and a bundle of Scotch heather were also carried on board. On 2 May, after a voyage of 103 days, the Celestial Queen arrived in Port Chalmers. The ova were in ‘excellent condition’, but the fish had died. The tench had been accidently thrown overboard while their water was being changed. The final resting place of the two oysters that were still alive is unknown. 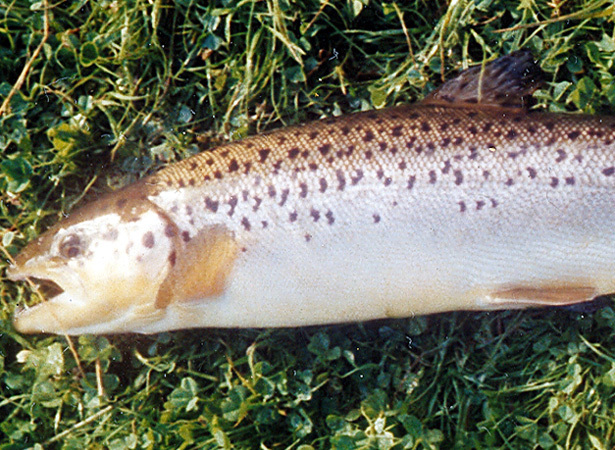 Neither the Atlantic salmon nor the brown trout survived in New Zealand waters. However the brown trout taken to Hobart in 1864 had survived, and their progeny had been brought to New Zealand in 1867. The first quinnat or Californian salmon (Oncorhynchus tshawytscha) ova arrived in New Zealand on the steamship Vasco de Gama on 5 November 1875. Much augmented, these are the basis of today’s salmon fishing. We have 4 biographies, 9 articles, related to First shipment of salmon and trout ova arrives.